Awesome ownership opportunity in the prestigious Pine Meadows community. 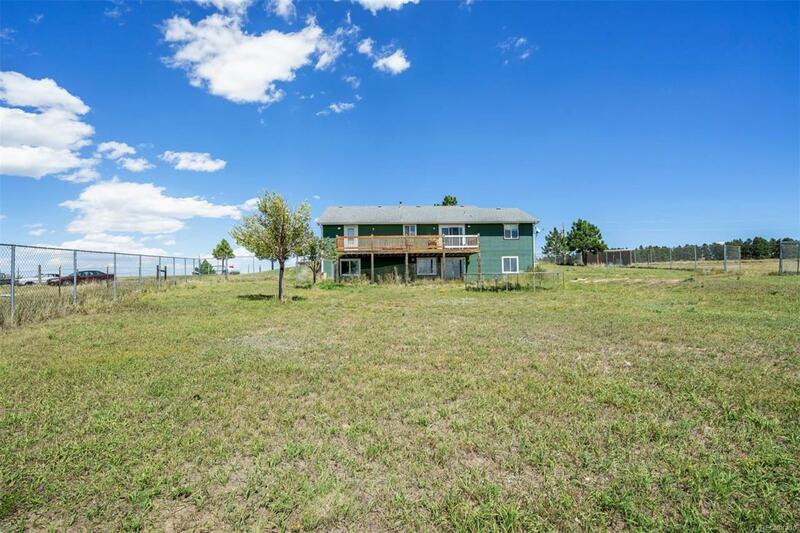 Located just off of paved County Road 45 very close to Kiowa, this 5 bedroom 3 bath walkout ranch home features an updated kitchen and very majestic sweeping front range views that will captivate you and your family as you live out your very own version the Colorado country lifestyle! Although some TLC is required (which is reflected in the asking price), it will be well worth it to enjoy the city-close country-quiet peace and tranquility this property provides. Situated on a generous 8+ plus acre parcel, you can enjoy all the best the country living has to offer with lots of privacy and space! This property just appraised at the asking price and is ready to go. Call for your private showing today! Offered by Landmark Premier Properties.